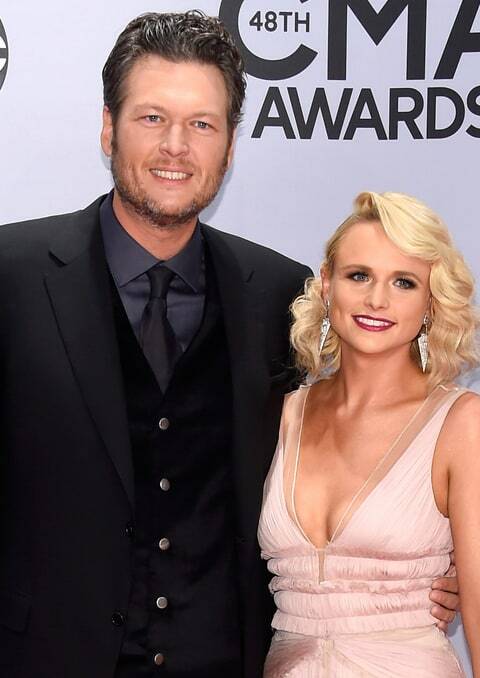 When Blake Shelton and Miranda Lambert announced their divorce Monday, the news genuinely rattled country music fans — because not only was this Shelton and Lambert&apos;s marriage, it was ours. The relationship was one that fans were privy to from the get-go, from that very first smoldering performance together of "You&apos;re the Reason God Made Oklahoma" on CMT&apos;s 100 Greatest Duets, a public display of affection that seemingly caught both artists by surprise — especially Shelton, who was married at the time. Still, the attraction between the Texas spitfire and the quick-witted Oklahoman was palpable, and when Shelton filed for divorce from his first wife in 2006, he and Lambert began their courtship in earnest. Here was a couple with far more in common than any dating-site algorithm could match up. Both Shelton and Lambert were avid hunters, as comfortable in the woods in a tree stand as they were onstage. They were also inherently homebodies — after they eventually married in 2011, the singers settled in at their Oklahoma ranch, where Lambert would fry up hamburger steak and mushrooms for her husband while he took care of the property. It was an impressively normal lifestyle for two of music&apos;s biggest stars, who transcended Nashville notoriety to become pop-culture icons. Shelton broke out as a bona fide TV star on The Voice, while Lambert furthered her artistry, claiming Grammy awards along the way and winning over non-country fans, who rallied behind her gunpowder-and-lead badass persona. With such crossover fame, however, came the microscope of the tabloids. Seemingly every other week, another headline would appear alleging infidelity or, at least, love on the rocks. Both artists took to responding to the rumors via social media, with Shelton having the most smartass fun in discrediting them. "Wow!! @mirandalambert and I are so excited about our 100 million dollars!!!" he tweeted in 2013, after a report suggested a large sum of money was at stake in the rumored divorce. "Who knew you could make so much money just by divorcing?!!" Surely, such constant scrutiny was difficult to bear, but the couple&apos;s defiance and commitment to soldiering on — "Divorce is not an option," Lambert told reporters backstage at the ACMs in 2013 — bolstered fans rooting for their continued happiness. Which makes this week&apos;s dissolution of their marriage so tragic. 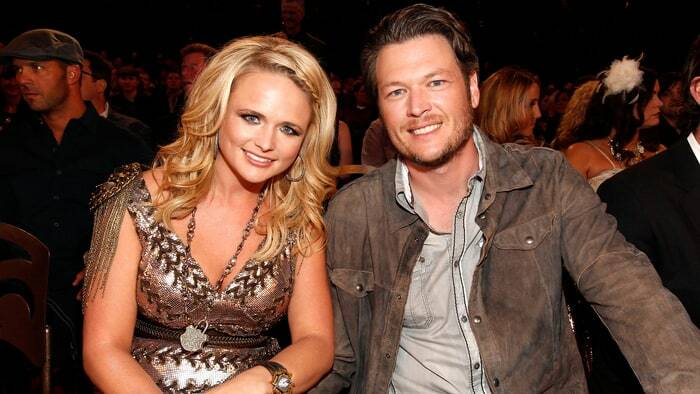 In these two human beings — for once, stars who truly were just like us — country fans could relate. Here&apos;s a look at how Shelton and Lambert fell in love, took Nashville by storm and, for a while anyway, provided country music with a modern-day George and Tammy romance. Blake Shelton and Miranda Lambert first share the stage during the 2005 CMT 100 Greatest Duets special, with their undeniable chemistry heating up the screen. The Oklahoma native was two gold records and three Number One hits into his career at the time. 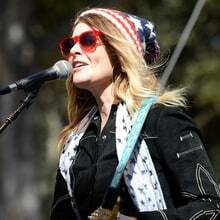 Lambert, a Nashville Star finalist, had taken over his "next big thing" crown, as she was riding high on her chart-topping (and eventually platinum-selling) debut album, Kerosene. The two had only met in passing before they were paired to sing the 1981 David Frizzell and Shelly West hit, "You&apos;re the Reason God Made Oklahoma," on the CMT program, and the new friends couldn&apos;t keep their eyes off each other during the performance. "I&apos;ve never had that kind of experience with anybody," the "Austin" singer later told VH1&apos;s Behind the Music. "I was a married guy, you know? Looking back on that, I was falling in love with her, right there on stage." Shelton filed for divorce from first wife Kaynette Williams in February of 2006. While his blossoming relationship with Lambert was rumored to be the catalyst, both singers deny starting anything romantic until after Shelton&apos;s first marriage was legally over. (Still, in a late 2008 interview with CMT, Lambert said they&apos;d been together "three years," dating their relationship back to late 2005.) They keep their distance — at least in the public eye — for all of 2006, with the Texas native crossing the country on both Keith Urban and George Strait&apos;s respective tours and her crush opening shows on Rascal Flatts&apos; Me and My Gang Tour. By 2007, the careers and romance of Shelton and Lambert are red hot. They come out of the relationship closet at that spring&apos;s CMT Music Awards, posing together for the first time on a red carpet. The following month, Lambert wins Top New Female Vocalist at the ACM Awards and releases her Crazy Ex-Girlfriend LP, which would go on to sell a million copies and win Album of the Year at the 2008 ACMs. Shelton&apos;s Pure BS album is also released in 2007 with a Number Two debut on the album charts and two Top 20 hits. 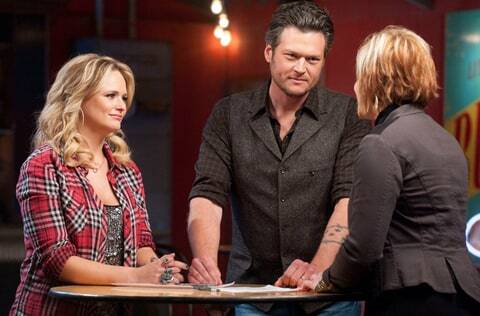 With the re-release of Pure BS and its three new bonus tracks, Blake Shelton and Miranda Lambert&apos;s first recorded musical collaboration is born. With Lambert on backing vocals, Shelton&apos;s cover of the Michael Bublé hit "Home" becomes his fourth Number One hit — and he had his girlfriend to thank. Lambert played deejay with Shelton&apos;s iPod and had secretly uploaded the pop ballad. 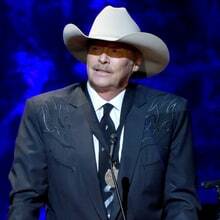 "I asked her to put John Conlee and the Bellamy Brothers&apos; greatest hits on there. When I got to the bus, I had Michael Bublé on it. I had no idea who that was," Shelton once admitted to The Boot. "She thinks because she likes it, I should like it. If you look at my iPod now, there&apos;s other things on it, like Coldplay, the Gorillaz and other crap that I&apos;ve never heard of. That shows you the power of &apos;Home,&apos; because most of that stuff, I won&apos;t even give it a chance." The couple embark on their first tour together in the fall of 2008, playing both separately and together in different spots throughout the show, so that it&apos;s never clear who&apos;s the opening act and who&apos;s the headliner. "I learned a lot watching her on stage every night," Shelton told Redbook magazine after the trek. "I&apos;ve been doing this much longer, and it used to be, &apos;You just listen to me.&apos; But damn, this is a girl who steps out on stage and has complete control of the audience. It&apos;s pure artistry." 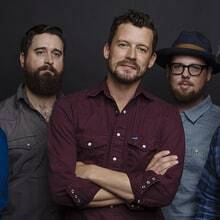 In the middle of the tour, Shelton releases his Startin&apos; Fires album with his second Lambert collaboration, "Bear Skin Rug," which the two co-wrote. 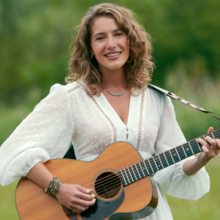 The tongue-in-cheek tune, which was not released as a radio single, is about two "hillbilly" teenagers about to embark on their first sexual experience. Three more co-writes by the couple appear on Lambert&apos;s CMA Award-winning album Revolution: "Me and Your Cigarettes" (also written with Ashley Monroe), "Love Song" (with Lady Antebellum&apos;s Dave Haywood and Charles Kelley) and "Sin for a Sin." 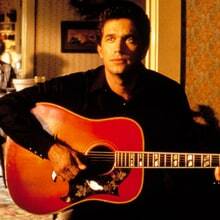 But Shelton&apos;s biggest contribution to the album is a track he didn&apos;t write, "The House That Built Me." 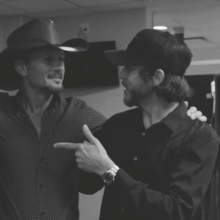 The Tom Douglas/Allen Shamblin-penned song was first given to Shelton for his consideration, but he handed it over after playing it for Lambert in his truck and seeing her so moved by its lyrics that she broke down in tears. "The House That Built Me" went on to win the CMA and ACM trophies for Song of the Year for its writers, with Lambert scoring her first Number One hit and first Grammy for the track. The outdoorsy pair is walking in the woods near Lambert&apos;s Oklahoma ranch when Shelton pops the question — with a ring in one hand and a Solo cup full of Bacardi and Diet Sprite in the other. "Weddings are great and engagements are great and diamonds are especially great," Lambert told People magazine just after saying "yes." "But I&apos;m just excited to be married because I want to tell Blake I really can love him the rest of my life and be happy and make him happy." Shelton becomes a judge on the first season of NBC&apos;s The Voice, a show whose tremendous popularity makes him a household name beyond his country music superstardom. Over eight seasons, Lambert would make multiple appearances, duetting with one of her husband&apos;s contestants during Season One and mentoring his entire team during Season Two. In a clever twist, she joins Team Shakira as a mentor in early 2014. Shelton and Lambert are married in Boerne, Texas, in a rustic ceremony during which they serve venison shot by the couple themselves on a recent deer hunt. Ashley Monroe sings "Makin&apos; Plans" while Lambert walks down the aisle, and Shelton — dressed down in blue jeans and boots — performs a newly-written song called "Let&apos;s Grow Old Together." During the reception that follows, Neal McCoy, Martina McBride and Reba McEntire all climb onstage to sing. Shelton&apos;s sixth album, Red River Blue, hits stores one week after the Fourth of July, with Lambert making an appearance on the title track. The record&apos;s four singles — "Honey Bee," "God Gave Me You," "Drink on It" and "Over" — all go to Number One. Later that year, Lambert releases her own album, Four the Record, and scores a chart-topper with "Over You," a power ballad she wrote with her husband about his late brother, who died in a car accident. The song wins both the ACM and CMA awards for Song of the Year. Mr. and Mrs. Shelton sing "America the Beautiful" during the opening of Super Bowl XLVI. Rather than lip-sync the song, which is customary during most Super Bowl performances, the couple perform live, trading lines during the verses and harmonizing together during the chorus. With the holidays approaching, Shelton releases Cheers, It&apos;s Christmas. The gold-selling holiday album kicks off with "Jingle Bell Rock," performed as a brassy duet with Lambert. Later that year, she would make an appearance on her husband&apos;s Not So Family Christmas television special, reprising their "Home" collaboration for the NBC show, with its lyrics tweaked for the holidays by Michael Bublé. "Divorce is not an option," Lambert tells reporters backstage at the ACM Awards, amidst rumors that her marriage is on the rocks. 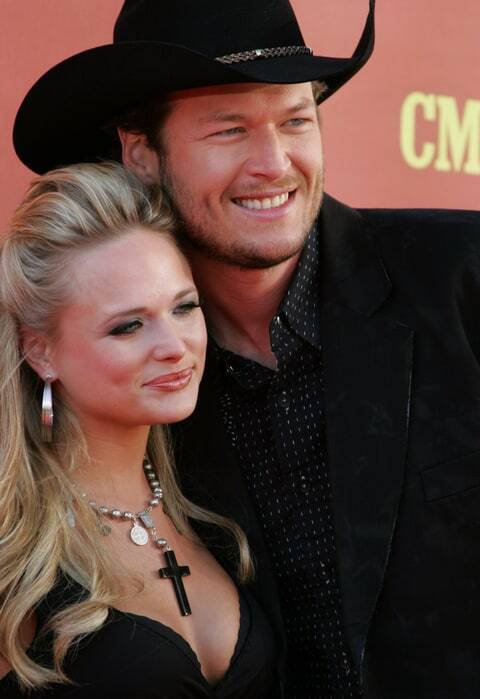 "Over You" won three awards that evening, with Shelton commending his wife&apos;s songwriting skills during one of the pair&apos;s acceptance speeches. "I was actually shocked at the really nice things he said," Lambert admits in the press room, adding, "He&apos;s never told me that, so I heard it for the first time like everybody else." To prove he doesn&apos;t keep secrets from his wife, Shelton tells People magazine that he gives Lambert access to his iPhone. "[I tell her], &apos;I have nothing to hide from you,&apos;" he explains. "That&apos;s always been our policy: &apos;Here&apos;s my phone. Go through it.&apos;"
Lambert appears on the cover of Rolling Stone, one of the only country stars to hit the magazine&apos;s front page in years. Inside, she talks about her fifth album, Platinum, whose song "Priscilla" deals with the challenge of marrying a celebrity. "How do you — or don&apos;t you — get the love you want when everybody wants your man?" she sings in the chorus. Rumors continue to swirl about a supposed rift between the married couple. Fed up, Shelton vents his frustration via Twitter, writing, "Maybe because the divorce rate is so high the tabloids have just decided to play the odds with me and Miranda. Morons.. #eatadick." For the fifth year in a row, Shelton wins the Best Male Vocalist award at the CMA Awards. Matching his streak is Lambert, who takes home her fifth consecutive trophy for Best Female Vocalist. Vince Gill, who held onto the Best Male Vocalist crown for a half-decade during the early Nineties, remains the only other singer to share the former couple&apos;s records. Lambert&apos;s fifth studio album Platinum wins the Grammy Award for Best Country Album. The camera pans to Shelton during his wife&apos;s acceptance speech, but she doesn&apos;t thank him, choosing instead to run through a list of the album&apos;s producers. Shelton surprises Lambert fans at her concert in Wichita, Kansas, joining his wife on stage for a quick kiss and a stripped-down duet of his chart-topping "God Gave Me You." Lambert tears up in the final chorus of the song, which he dedicated to her upon its 2011 release, even including footage of his bride on the night before their wedding in the song&apos;s official video. 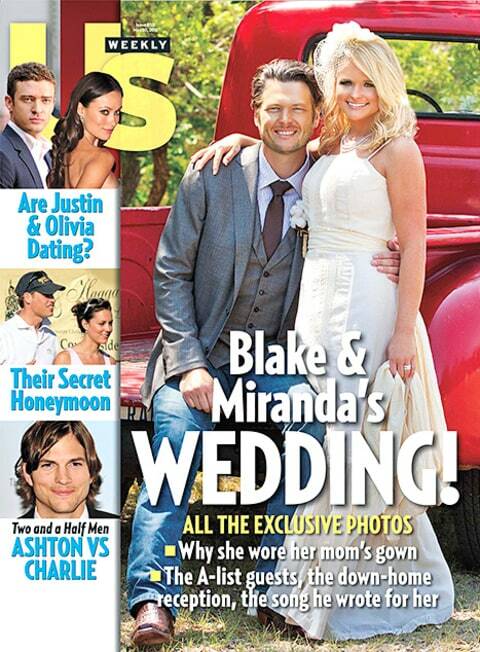 Sending shock waves through the country music community, Blake Shelton and Miranda Lambert announce their divorce. The two had somehow kept their separation and court documents secret, as the news came on the same day that an Oklahoma judge finalized the split. Married just over four years, the couple has no children. "This is not the future we envisioned," they write in a joint statement. "And it is with heavy hearts that we move forward separately. We are real people, with real lives, with real families, friends and colleagues. Therefore, we kindly ask for privacy and compassion concerning this very personal matter."